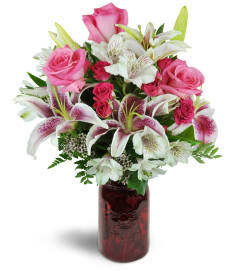 The Pretty in Purple Bouquet creates a bold splash of color upon arrival, creating a gift of floral style and design your special recipient will always remember. Weaving together lavender roses, purple stock, lavender Peruvian Lilies, purple statice, and lush greens, this flower bouquet exhibits levels of texture and color that will make them take notice. 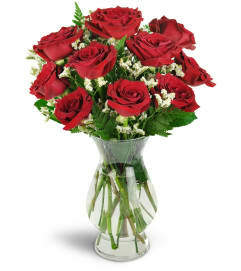 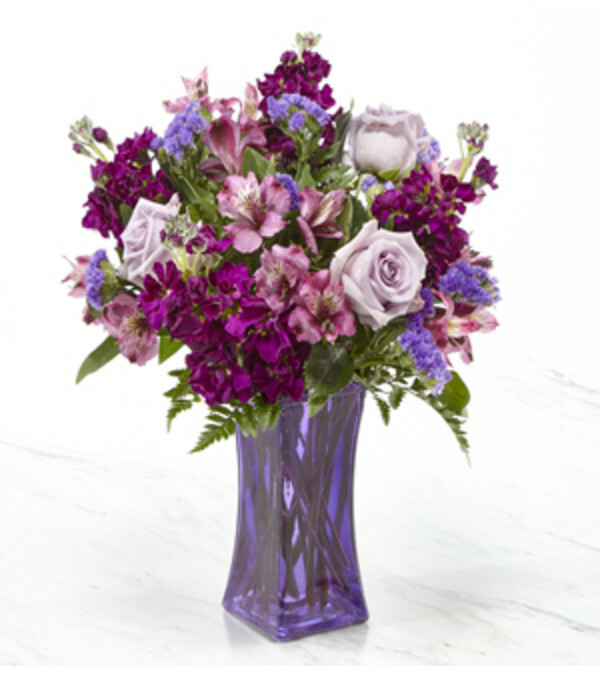 Presented in a modern purple glass vase to give this flower arrangement a finished look, this gift of flowers is ready to express your warmest wishes for a birthday, as a thank you, or as a way to let them know how much you care.